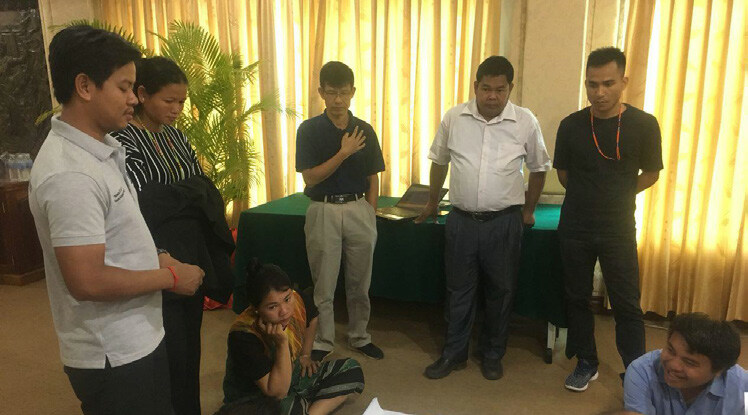 On June 20, 2018, the 2nd Quarterly Meeting of Prey Lang Community Network (PLCN) was held at Angkor Holiday Hotel, Siem Reap Province. 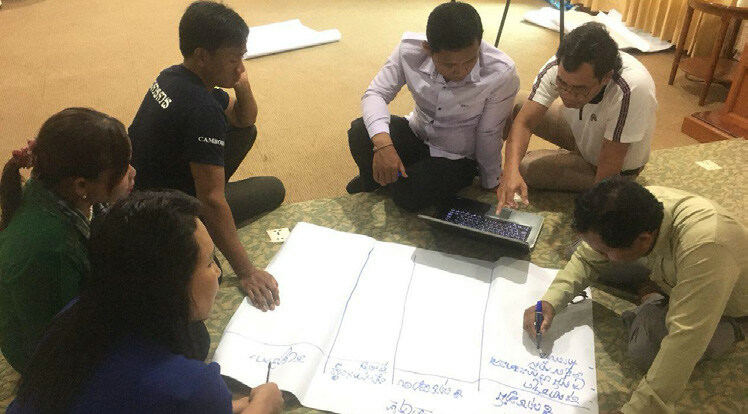 There were 22 participants attended the meeting who came from community forestry, community based organization, local NGOs and international NGOs. PLCN is a network of Indigenous People called Kuy minority, volunteers committed to protect Prey Lang forest which were formed up since 1997, in the period of erupted forest anarchy (93-97), and Forest Concession (1997-2002) in Cambodia. 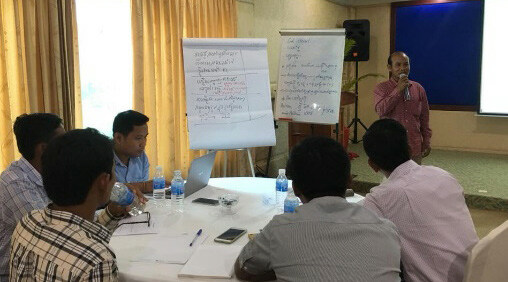 The community who are living surround Prey Lang length in the four provinces of Kompong Thom, Preah Vihear, Stung Treng and Kratie , had been foreseen of severely forest crime which was strongly affected to their daily traditional occupations for local socio-economic development and human heritage. The protection of Prey Lang was contributed by every single active member, groups, activists, communities and expanded into the form of everyone was connected to protect the forest in these four provinces. There were more than 300 active members across the network who actively engaged in the network to organize and mobilize their own activities. The meeting was aim for monitoring and reflection on current situation where the progression of Prey Lang, raised challenges, taking action and set up for action plan. There were 3 objectives to discuss: 1) Review previous progress and challenges of the last quarter, 2) Determine current situation and way forward and 3) Set up new strategy/action for next step. During the open remark, Mr. Chea Sokhoeun, said on behalf PLCN, we are keeping to support and seek for possible way to improve the situation where we are facing challenges. The join work plan among Civil Society Organization and NGOs working group should improve the PLCN activity which set up for common agenda. Mr. Viriya, from NTFP-EP, raised the questions on how to combine three networks of NGOF, related to Forest sector working together? What is benefit to join forestry network? Regarding registering PL under jurisdiction of MoE, I.g. Sangrukhavorn landed 10,000 hectares were conversed to MoE while it were well-protected by the Monk. Mr. Bun Narin, From NGO Forum, said that PLCN has its independently mission and NGO Forum just coordinated among the network to support them. CSO-REDD+ also has its box in discussion, policy dialogue how its benefit to community and IPFN refer to IP rights and they were living closely to the forest either livelihoods and believes. Since 2012 it was established a group of NGOs by EWMI to work in common to support PLCN. For instant, it would be great to integrate representative of each network (IPFN, CSO-REDD+) to join in any platforms base on it mandate. Mr. Thlay, asked how is REDD+ project in Stung Treng Province because of this project run by CI? In May, the project is under survey which cooperated with Japanese company. They met both PL member and non-member. PLCN need more information from CI in 2-3 months later. CI funded from Mizu for 3 years period to work on 1) law enforcement and 2) livelihood improvement which part of budget given to MoE for implementation. – By 25 June 2016, there was convers from CF to CPA under jurisdiction of MoE. Thus, this let the representative of PLCN in four provinces to make internal discussion to register in MoE. Mr. Narith said that it should be good to have law firm consultant to help them. Mr.Bunny recommended that he used to work on this network for long times, base on his experience he would coordinate to work with ALC law firm on this consultation. – Mr. Hoeun, asked to donor call Winrock for intervention but they comment to help in case network has registered with MoE. Mr. Hoeun raised a case of EWMI who funded by USAID as well as Winrock, thus it made them realized on this. The meeting was come up with a fruitful result. Mr. Sok hoeun, PLCN representative, expressed his great thanks to all participants who always providing a good guidance and oversee possible way in protecting and reserving Prey Lang as its huge benefits for the local community and the nation. The meeting was ended at 05:00 p.m with a pleasant moment.